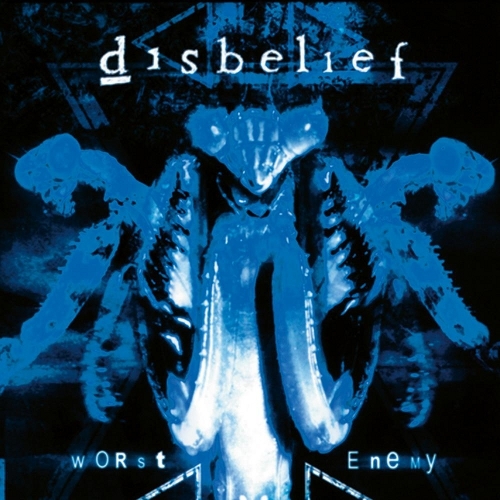 Disbelief is a Death/Sludge Metal band from Germany, been around since 1990 and have made 9 albums and Worst Enemy is their third album under Massacre Records. I've had this album for awhile and always wanted to post it but I never did, but I guess me not posting goes without saying doesn't it? Over 40 minutes long this album is quite a treat, despite most of the lyrics being about depressing subjects but isn't a suicidal depressed individual these days? Despite being pretty highly produced the album is really harsh and fuzzy. The vocals sound like (for a lack of a better term) kind of a shrieking growl with the rest of album's harsh fuzzy sound. Even at time dissonant like the song "All or Nothing." Give it a whirl if you're shrouded in disbelief.